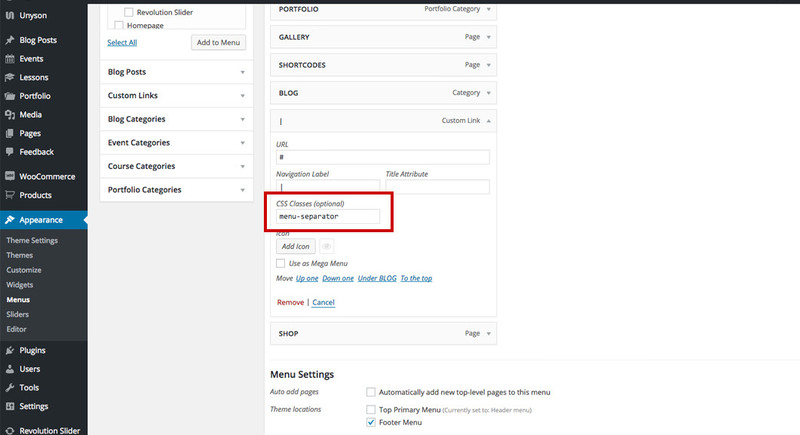 Press the View All link to bring up the pages published on your website. 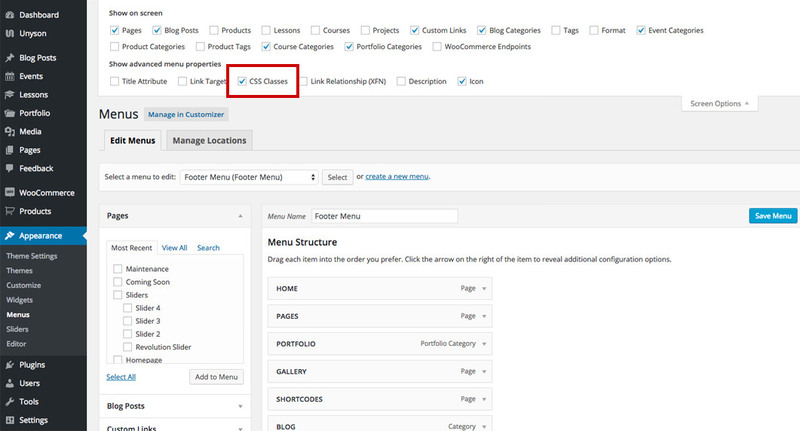 Select the Pages you want to add by selecting the checkbox next to each Page title. 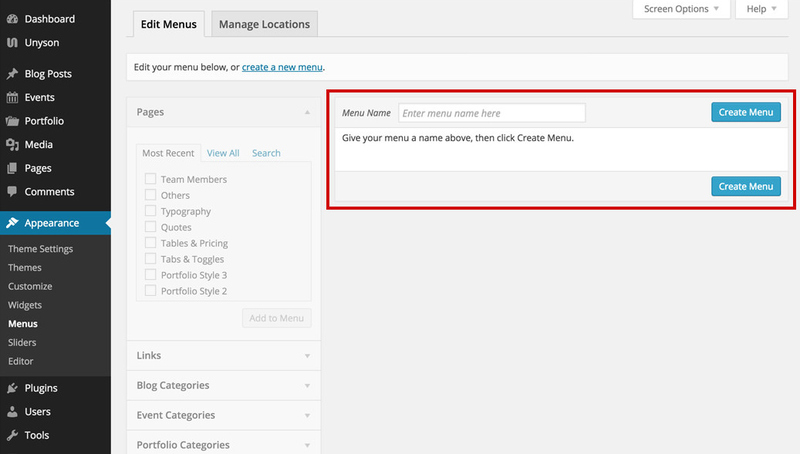 Click the Add to Menu button to add your selection(s) to the menu that you've just created. 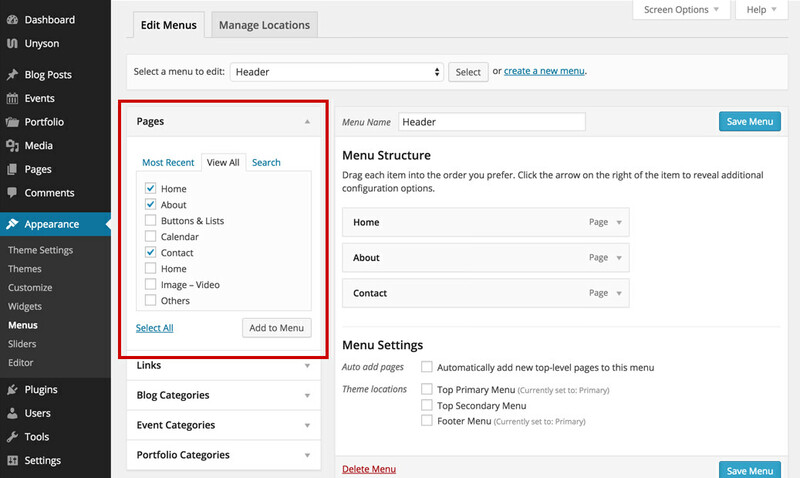 Click the Save Menu button on the right hand side once you have added all the menu items you want. Click the Save Menu button on the right hand side to save your changes. 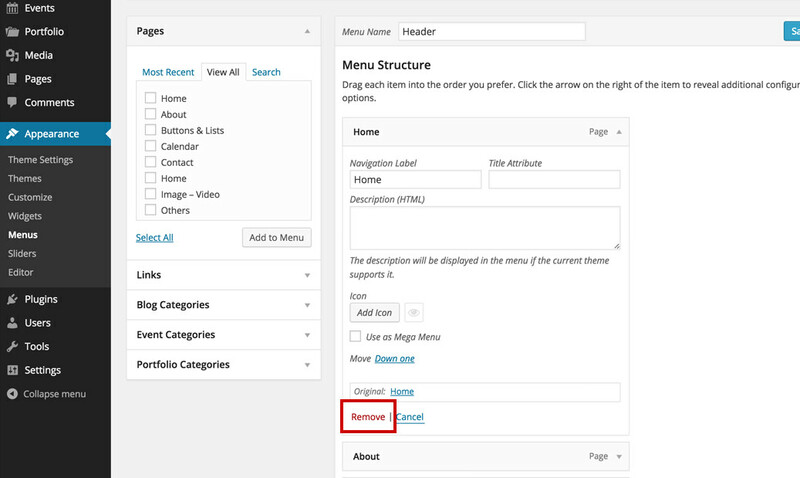 CSS Classes - lets you further style a menu item using CSS. By default this option is not visible, you need to enable it from Screen Options panel on the top. 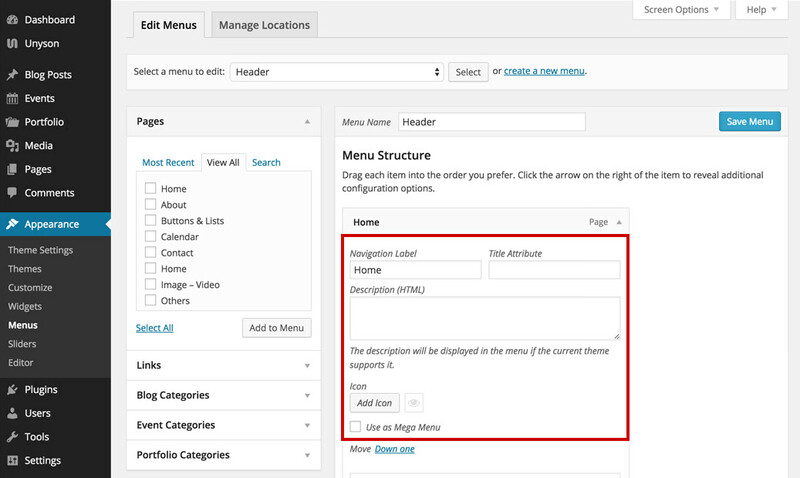 This theme comes with a ready to use CSS class: menu-separator. Use this class if you want an item to act as a menu separator. What this class does is strips down all the css related to a menu item: link, hover color, etc.